Lonely Planet has named Kerala among the world’s 10 best family destinations in 2014. This is a historic moment, and an opportunity to help the reeling economy of the state badly battered by the returning expatriates. But are we (and our leaders) ready to embrace this opportunity? Thrissur is also known as the Cultural Capital of Kerala because of its cultural, spiritual and religious leanings throughout history. 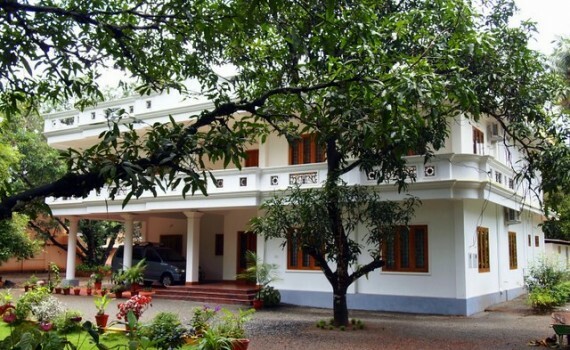 AestheticHoliday is just the right place for a comfortable stay in Trichur! Spring into a well deserved break at AestheticHoliday! The Nutmeg Orchard is located at Kombodinjamakkal, 30 km from Thrissur City. AerstheticHoliday offers luxury accommodation for up to 20 people in the middle of a tropical nutmeg garden. The Carluke Orchard is located at 2194 Shaver Road S, Ancaster, Ontario.The Inksetter Family first planted the orchards way back in 1965. We visited Carluke orchard last Saturday and had a great time picking the Golden Gala and Cortland apples. They also have a country store offering local products. We tried their Raspberry pie. Thrissur Pooram (Malayalam: തൃശ്ശൂര്‍ പൂരം) is an annual Hindu temple festival held in Kerala, India. It is held at the Vadakkunnathan Temple in Thrissur and is famous for pulikkali. Dundurn Castle is a historic neoclassical mansion on York Boulevard in Hamilton, Ontario, Canada. This was the magnificent home of Sir Allan Napier MacNab, one of Canada’s first premiers. Dundurn castle has more than 40 rooms on three floors. The City of Hamilton and Six Nations community members joined today to commemorate the end of the War of 1812. Dundurn Castle and The Hamilton Military Museum offered a free open house during the occasion. We made use of that opportunity to see the interiors of this grand country home for the MacNab family and the servants working below stairs.